WHD do solid work, is striving and keeping forging ahead constantly, make the brilliant achievement. Insist on enterprise development thought on" regard customer as the centre, survive on high quality, seek development with benefit, people first, deal in continuously forever", upgrade the idea of managing, strengthen the management system, recommend "participate in whollying, improve continuously". Do our best to let company get sweeping, management get a new step, production get a new level. Make our company keep up with the advanced managent model in international. Technology researches and develops the motive force that is development of an enterprise, is the guarantee that an enterprise advances . 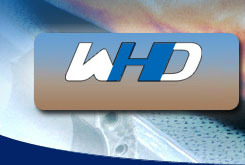 While paying attentionto introducing, absorbing domestic and international advanced technology, WHD is devoted to tackling key problems in scientific and technical innovation too, upgrade own technology, develop the highly sophisticated products of various kinds of adaptation market demand in time.